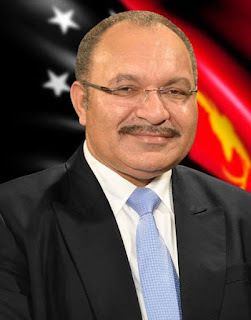 The Prime Minister, Peter O’Neill has announced that the National Executive Council (NEC) has made a series of decisions that will see the suspension of several senior government officials while irregularities surrounding the Manumanu land deal are investigated. In making the announcement of the suspensions, the Prime Minister said natural justice will take its course, and individuals will have the opportunity to address relevant issues through three review processes. “I have announced a Commission of Inquiry into the land deal, headed up by a retired judge, that will get to the bottom of the claims that have been made. “At the same time, the matter has been referred to the Commissioner of Police for consideration by the National Fraud Squad, and to the Ombudsman Commission for potential breaches of the Leadership Code. “This level of scrutiny is expected by members of the public to ensure transparency in Government decision making processes. “From the evidence before us, it does appear that individual Government agencies have acted in a way that must be reviewed. “The relevant investigations will be transparent and independent. “I call on Members of the Opposition to not play games with investigative processes and allow due process to take its course." 6. Suspended Mr Daniel Rolpagarea, State Solicitor.